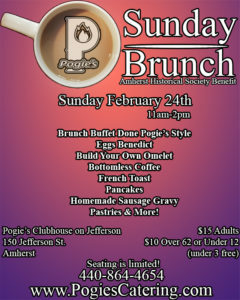 As the winter chill sets in, we’ll open up our dining room on February 24th for Pogie’s Sunday Brunch. Come and warm up with us for Sunday Brunch at Pogie’s Clubhouse, because it’s always hot in our kitchen. There will be two seatings, an early seating at 11 am or a late seating at 1230 pm. Tickets are available online HERE or by calling 440-864-4654. 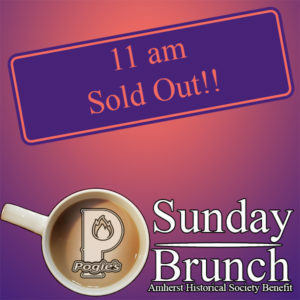 Pogie’s Sunday Brunch will feature a classic brunch buffet done Pogie’s style, with eggs cooked to order, specials like Eggs Benedict and Florentine, made to order omelets & breakfast sandwiches, and all the coffee you can drink. 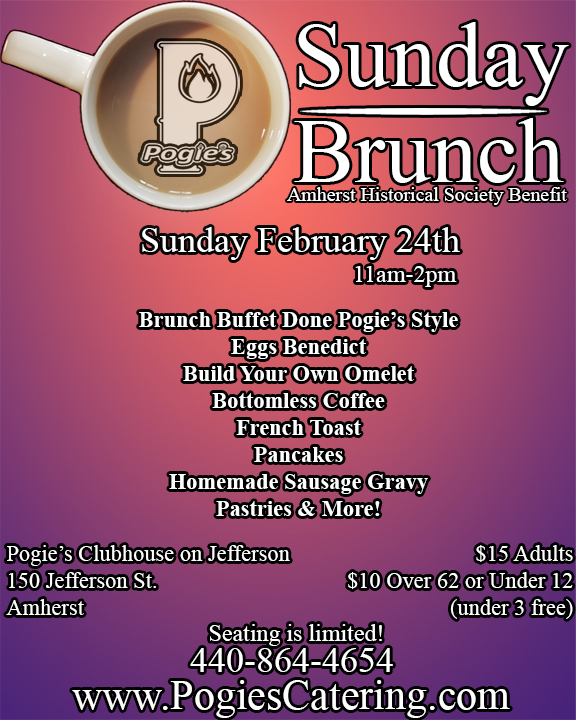 Pogie's Sunday Brunch will benefit The Amherst Historical Society. Reservations with advance ticket sale only! Pogie’s Sunday Brunch: Amherst Historical Society Benefit Facebook Page!